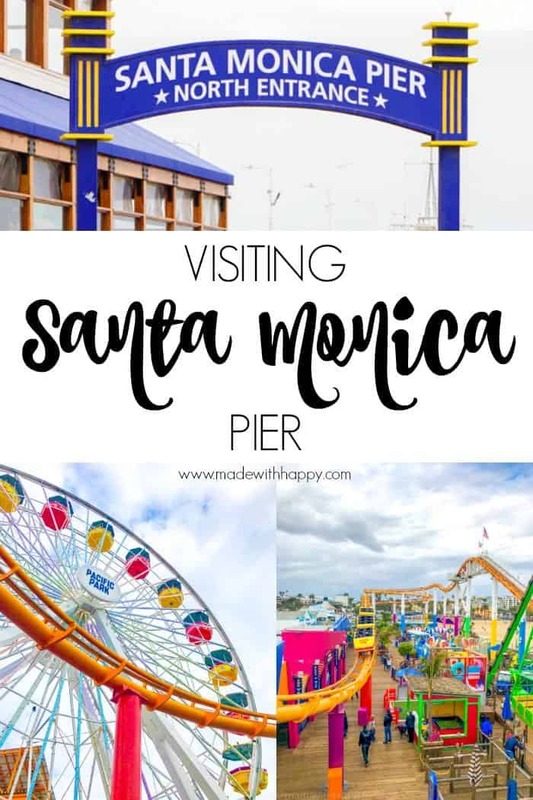 Looking for family fun while visiting the Santa Monica, then visiting Santa Monica Pier should definitely be on the list. Thank you TripAdvisor for sponsoring this fun day! 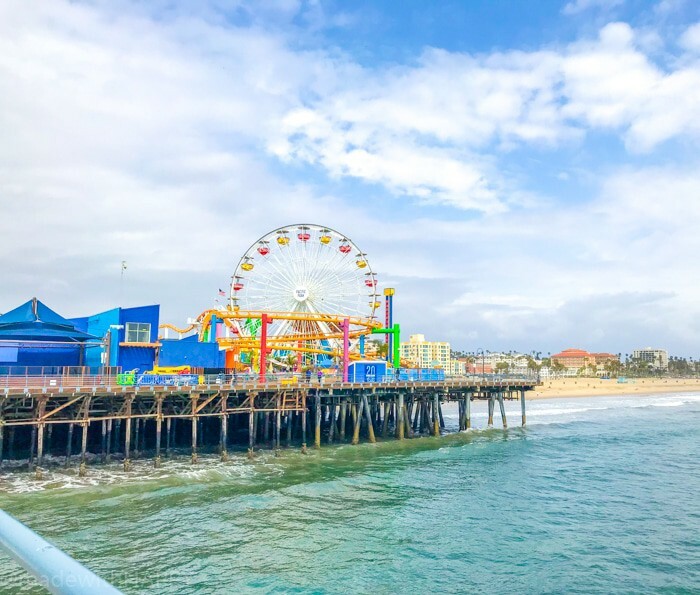 The iconic Santa Monica Pier is one landmark that you have probably seen in dozens of movies and or magazines over the years. I know its one of the first things I think of when heading to LA’s west side. 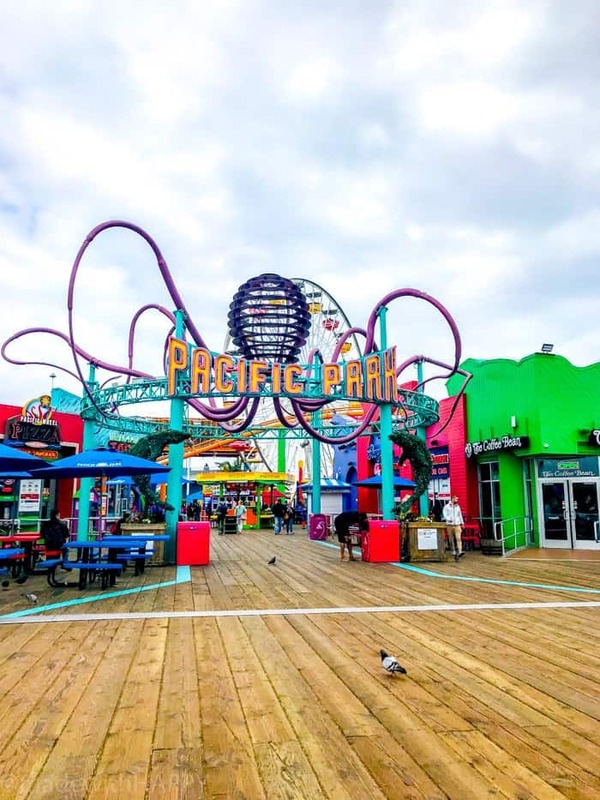 Last month, I was up in Los Angeles for a conference and as luck would have it, one of my dear friends was looking to fly in early to check out the sites, so I decided to meet up with her and have a day of fun on the Santa Monica Pier. As a frequent traveler and adventurer, Made with HAPPY teaming up with TripAdvisor is a no-brainer. 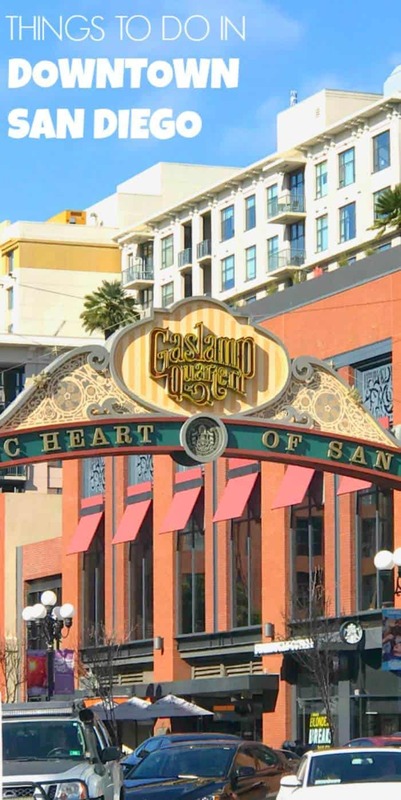 They know all about city tours, activities and attractions and its such an great resource when looking for different things to do within a city or location. I don’t know if you know this, but TripAdvisor is the world’s largest travel provider and have over fifty thousand bookable experiences in over twenty five hundred destinations. 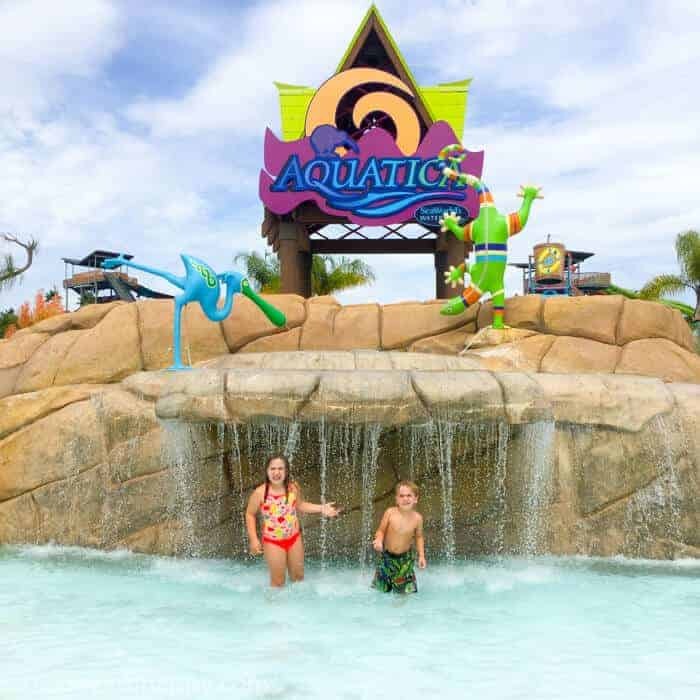 My favorite part of the site is that you can not only find something you want to do, book it right then, but that they have reviews of the attraction so you know what you’re getting into and minimizing the risk of spending your money on something not worth it! YES! 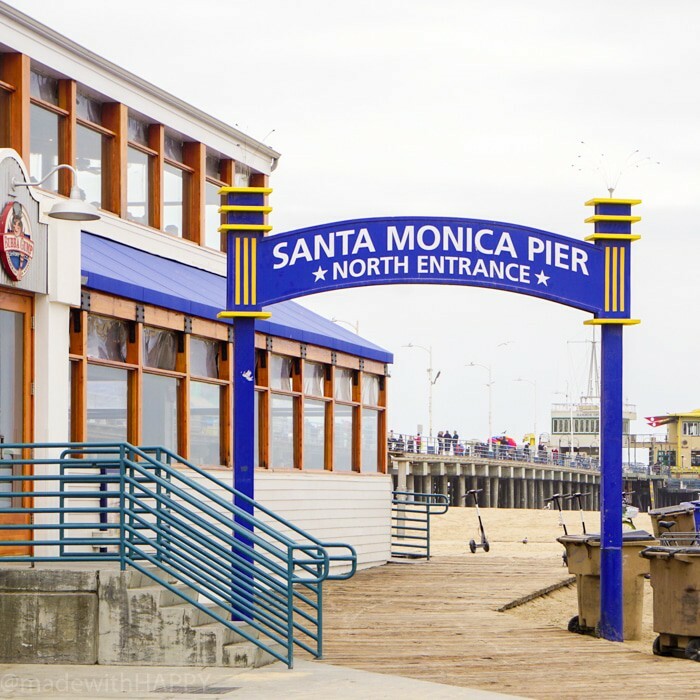 What I love about the Santa Monica Pier is that its located right on the Santa Monica Beach. 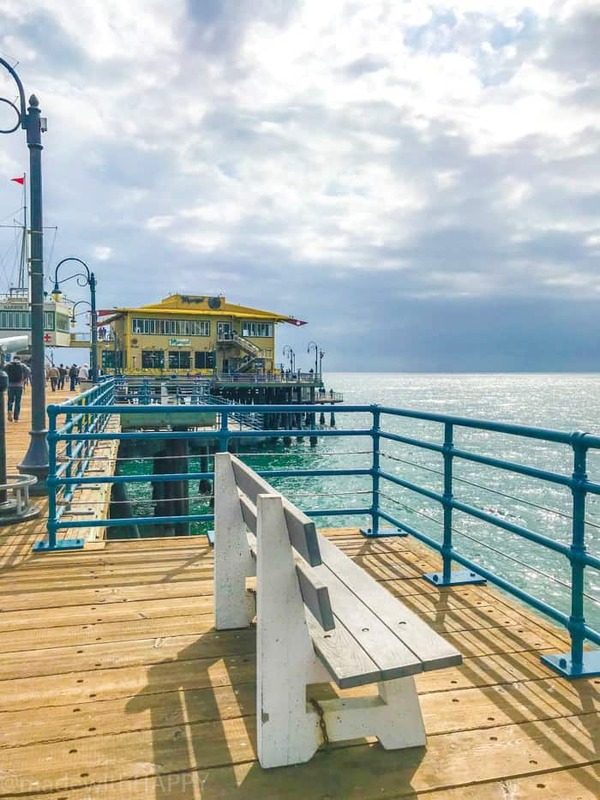 So not only can you enjoy a wonderful day at a beautiful the beach, you could easily fill your day with fun and food right there on the pier. Santa Monica Pier also happens to be the end of the Route 66. How fun is that? 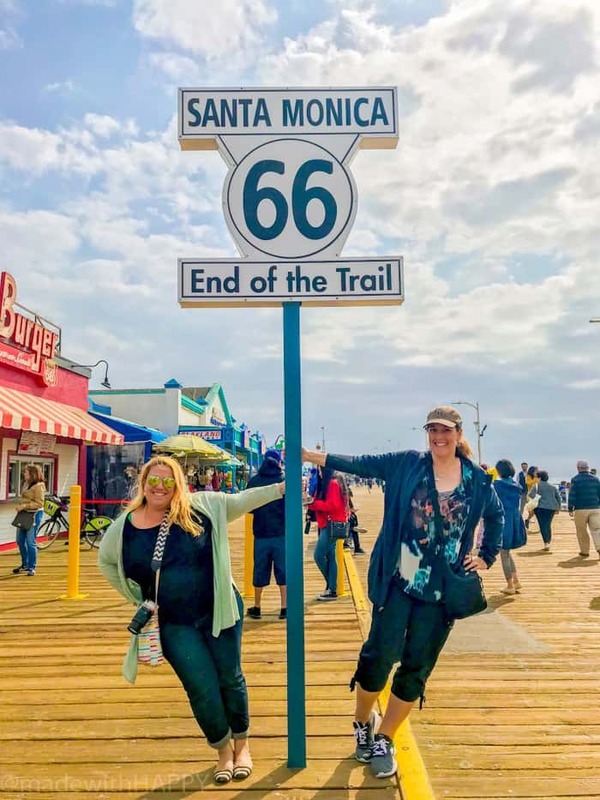 For those that are only familiar with Route 66 through the Cars movie (no shame in it:)), Route 66 was one of the original highways between Chicago and Santa Monica. It was the main highway and gateway for those in the 1930’s to head west to get out of the Dust Bowl. In any case, it makes for a fun touristy picture and I’ve never met a tourist picture I didn’t love! 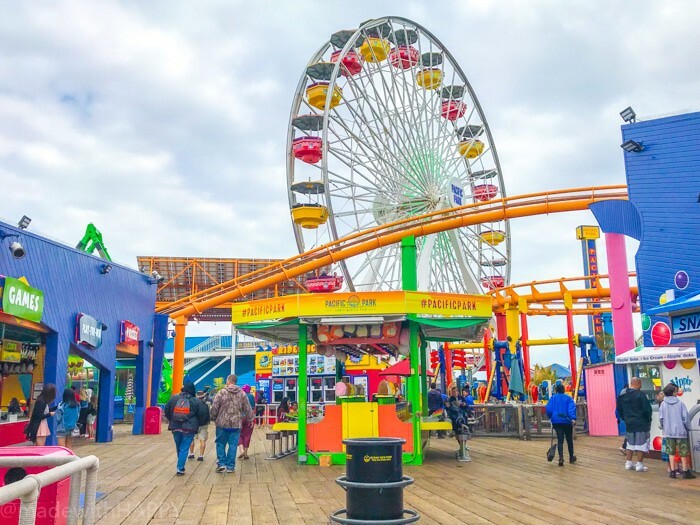 There are lots of fun things to do on and around Santa Monica Pier. You could certainly spend the day at the beach. There are so really fun bike rentals and of course there is the park. 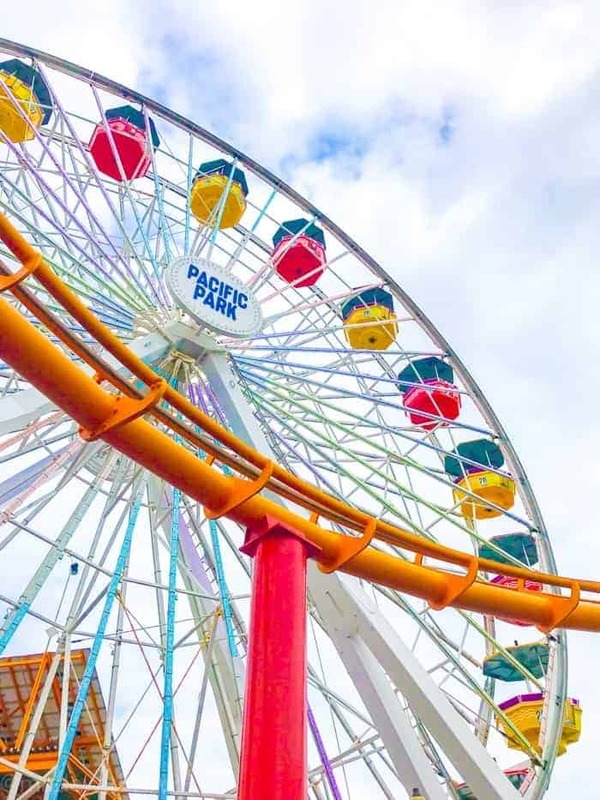 The Pacific Park is all kinds of pier fun. 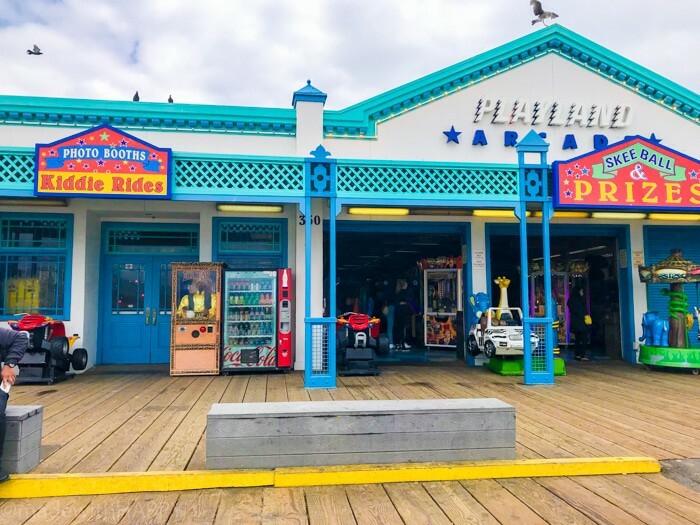 Lots of yummy restaurants (sit downs and stands) to fill your tummies while enjoying all the pier fun. 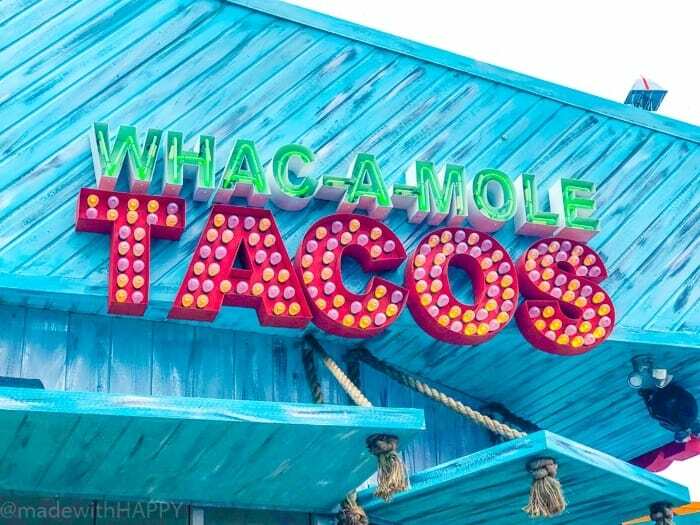 They also have all kinds of carnival foods (funnel cakes, churros, pretzels, ice cream) so you’re basically have all the magical fair food you want in one convenient location. 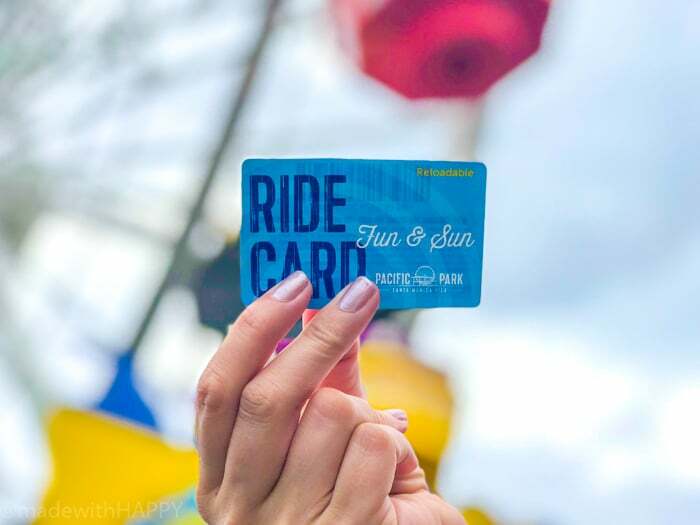 There are more than 12 rides that can be booked right through TripAdvisor. 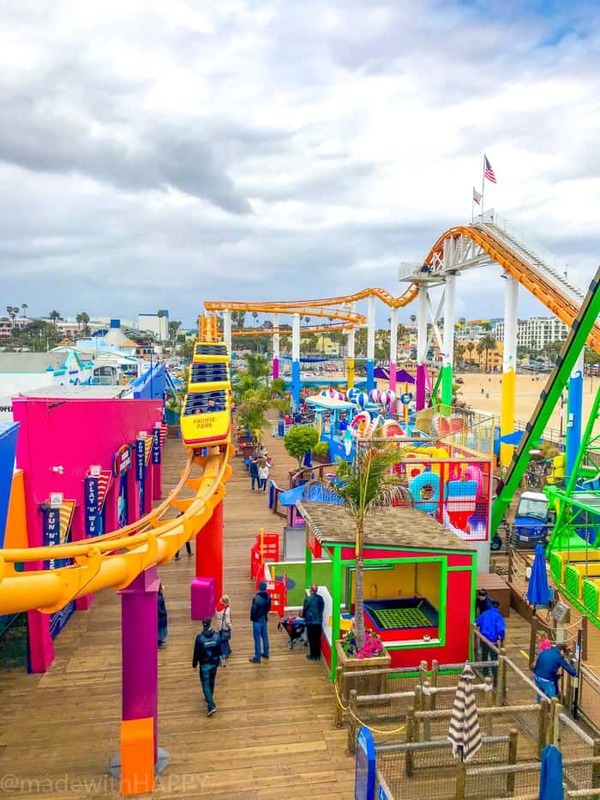 There are boardwalk games and a day worth of fun for sure. What was super convenient was that you book your ticket right on TripAdvisor for $28 and its loaded right onto your card and you’re off. No keeping track of tickets or which ride is what. Easy is what this mama loves! 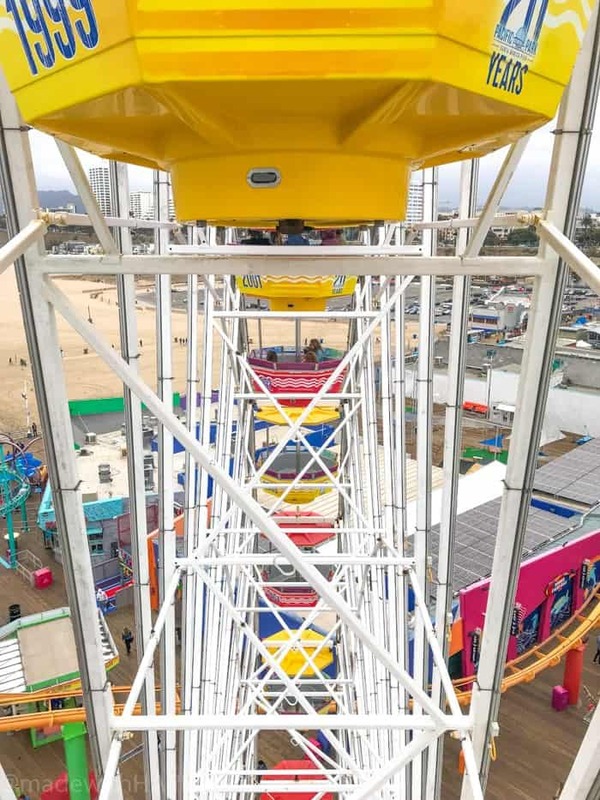 And that my friends is the fun of Santa Monica Pier. There is lots to do, lots to see, and lots to eat. As a side note, there is a large parking lot on the North side of the pier. There has been some construction the last couple of months, so don’t get discouraged by the construction. The parking lot is still open and great place to park for the day. PIN IT TO YOUR TRAVEL BOARD ON PINTEREST! 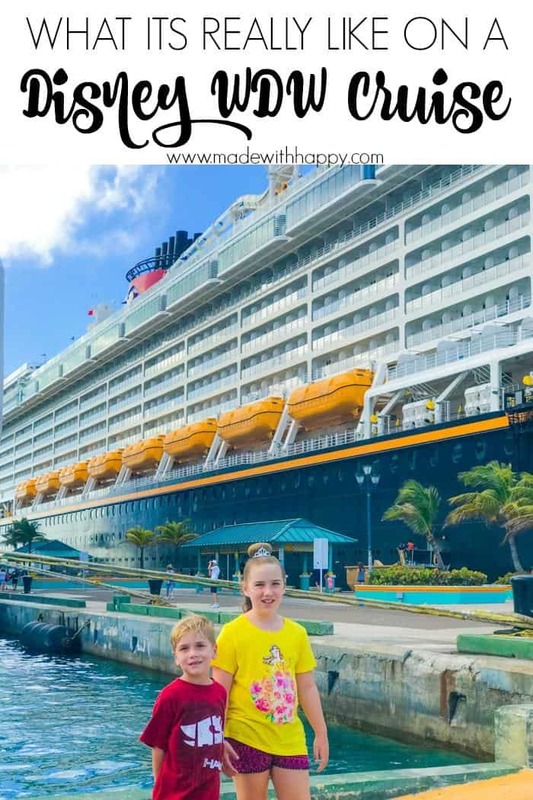 FOLLOW MADEWITHHAPPY ON PINTEREST FOR ALL THINGS FAMILY TRAVEL! !